A chronicle of a nature writer’s fifty-year relationship with an iconic American landscape: Cape Cod's Atlantic shore. ...[a] lovely and fortifying book ... Mr. Finch is a practiced hand at this kind of essay yet, as he admits, he is following the vanished footprints of a remarkable roster of Cape Cod nature writers. The Outer Beach doubles as a rich literary tour ... Eventually the sea is going to win the war. 'Who’s protesting?' he asks. 'Who’s taking the ocean to court to "save the Cape"? We make such a mighty fuss, as if it matters, even to us. We are spindrift, and we know it.' Until it goes, may there continue to be writers as good as Mr. Finch to commemorate it. Finch does a fine job of capturing the essence of the place. He's our best, most perceptive Cape Cod writer in a line extending back through Wyman Richardson, author of The House on Nauset Marsh, to Henry Beston, author of The Outermost House, reaching all the way to Henry David Thoreau ... There are vivid moments – a beached whale carcass, notable Cape ruins, a random encounter with one of the Outer Beach's rare freshwater springs, persistent drifting fogs – interwoven deftly with affectionate portraits of Cape people, and with stories of Finch's own family and friends. Finch is an amiable, if somewhat garrulous, companion...He is a keen and passionate observer, and he knows his natural history ... The author or co-author of 10 previous books on Cape Cod, Finch is so focused on the nature of the place — as is his intention — that people are often pushed to the side. That’s a shame, because the book contains some touching moments of human interaction ... As he leads readers up the Cape, Finch devotes a chapter to each major locale, with his writings arranged in chronological order from 1962 to 2016. This makes for a good deal of repetition ... In the end, Finch artfully conveys what is, at heart, so stirring about the beach: how its beauty and magisterial power cause us to ponder the larger things in life and drive home our place in the universe. 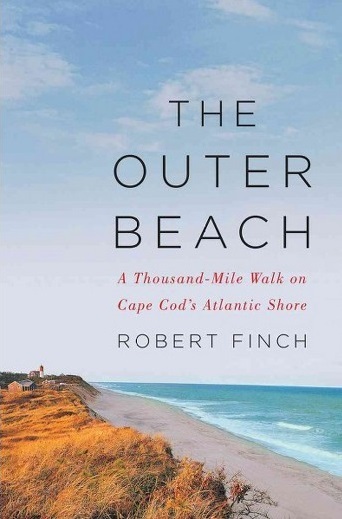 What did you think of The Outer Beach: A Thousand-Mile Walk on Cape Cod's Atlantic Shore?